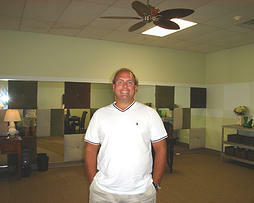 Redecorating Your Home in Venice FL? Avoid the Color Red! 2) Cash buyers are holding and renting for cash flow. In either scenario, how you stage the property for sale and the colors you pick create an emotional (positive or negative) reaction in a potential new buyer. 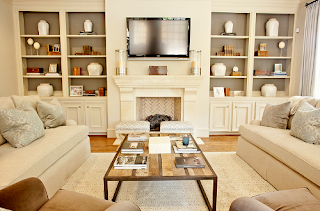 One of the things that can create the biggest emotional reaction is paint color. And there's one paint color you should avoid in FL at all costs: RED. 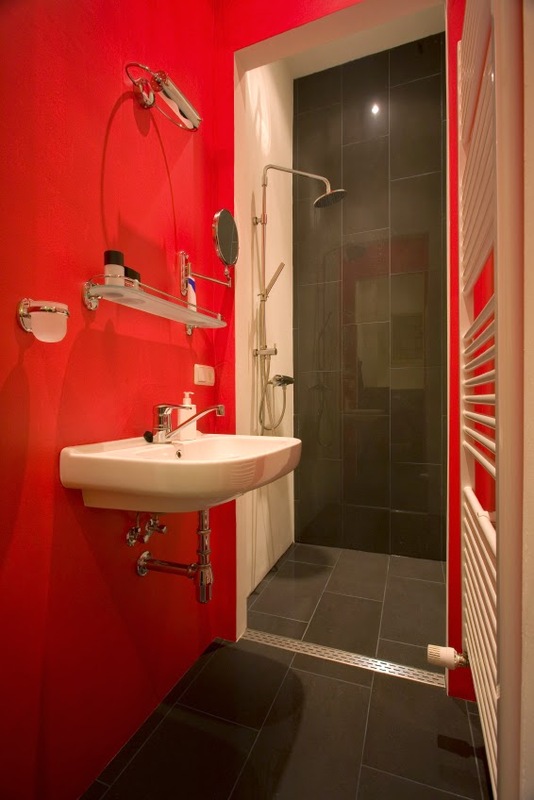 This bathroom color may be great in cold Norway, the NE US or Canada, but the color red does not work in Florida. Red is hot. Red is danger. Red means stop. Florida is hot. So don't use this color in your home. Florida home buyers want soothing, cooling spaces after being out in the Florida sun and heat. The pale green glass tile makes this bath feel more sedate and cool. If you are selling your home or condo in Venice and have a red room or red accent wall, you will get better results by painting it a neutral or pale pastel color that will appeal to today's home buyers.